She stalks the night, driving the forces of Chaos from the shadows and hunting them down like prey! 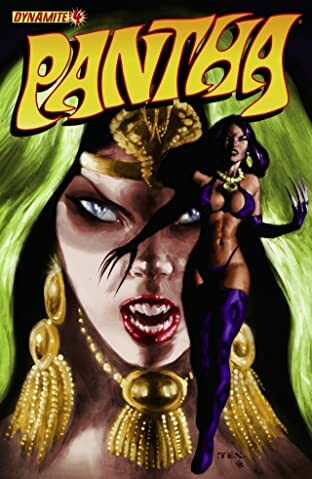 Much more than a feral shapeshifter, Pantha is also an avatar for the Egyptian goddess Sekhmet - and she's going to learn that history can repeat in a violent, terrifying way! Featuring the return of several heroes and villains from the pages of PANTHA and VAMPIRELLA, 'Dangerous Game' will be an important cornerstone for the future of Dynamite's epic Vampirella universe!